Nobody likes to wait long for the effects of their work, so if we are wondering how to quickly achieve the dream figure, we should implement a few small and inconspicuous rules. Below are 5 tips that you should follow when building muscle mass. The advantage of multi-joint exercises is to involve more muscles to work at the same time as we would do an isolation exercise. By doing the exercises that will force the work of several muscle groups, we can afford to increase the weight, compared to the exercises for small parties. The worst enemy of the progress is the strength of habits, resulting from the natural inclination of our body to adapt to environmental conditions. Progress can only take place when we constantly stimulate our body to increased effort. Raising the bar does not always mean increasing the load. It can take place both in the form of lengthening the series, shortening the rest time, combining several exercises into one, as well as introducing technical impediments, e.g. 2 seconds holding the weight in a specific phase of the movement. If the strength of mutual motivation was a fiction, then professional Coach’s would long ago say goodbye to the labor market. The value of a reliable partner at the gym is invaluable. It provides us with a sense of security during belaying, motivates for additional repetition and increasing weights. But the most important advantage of a good partner is a vigilant, disciplining eye that does not allow us, for example, to give up leg training or the end of the workout. Proper nutrition is the first step leading to massive progression. Its values can not be ignored or downplayed, because without the supply of protein, the body is unable to “produce” more muscles. The simplest step to improving your nutritional balance is to introduce a “pre-bed” meal into your diet, the aim of which is to provide your body with slow-digesting proteins that will feed your body all night long. A good solution will be micellar casein, which provides amino acids to the muscles for up to 7 or 8 hours. Taking creatine increases muscle supply by 10-30%, which contributes to increasing the ability to make high-intensity efforts. What’s more, the higher level of creatine in the muscles contributes to the acceleration of the regenerative process during breaks between workouts, so you can perform a greater number of repetitions, which leads to better training effects. 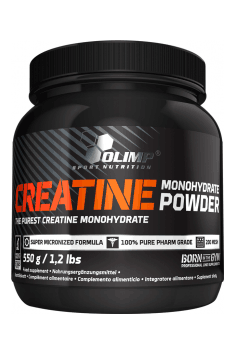 The use of creatine positively affects both the process of building muscle mass and strength progresses.